Stingray brings music videos back where they belong…on TV! What’s better than listening to great music? 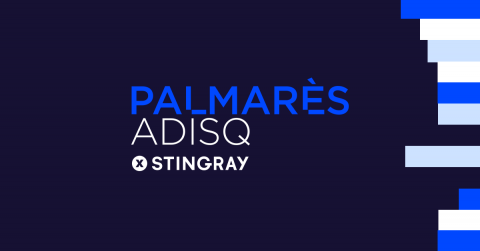 Stingray Loud, Stingray Vibe, Stingray Retro, Stingray Juicebox, Stingray Now4K, Stingray Hits & Stingray PalmarèsADISQ present all music videos, all the time! No interruptions, just all day programming that includes themed blocks, exclusive downtowns, and best-of lists. 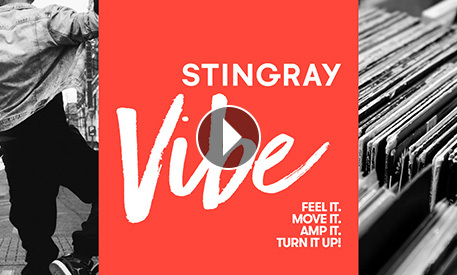 Stingray Loud gives your speakers the workout they deserve! 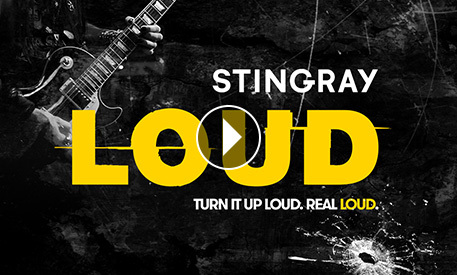 Not for the faint of heart, Stingray Loud dares to cover the entire spectrum of rock, hard rock, metal, punk, and alternative music. Check out the videos that live in the underground and those that have blazed their way to the top of the charts. A must-watch for fans of music videos that are brash, hard, raw, and take no prisoners! Stingray Vibe is your source for the freshest music videos. Whenever you want to amp up the party or keep things mellow, tune in to the hip-hop, R&B and rhythmic pop artists who set the scene. Check out music videos that have the power to move bodies and minds by old school pioneers looming large over music history, and today’s freshman class making its way up the charts. Great music never goes out of style! 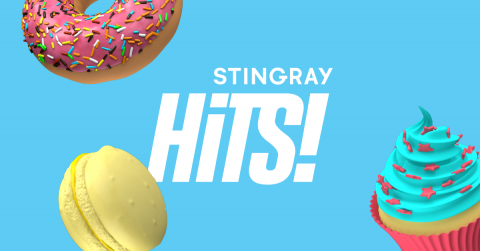 With Stingray Retro, rewind to the ‘80s, ‘90s and early ‘00s when music videos ruled the airwaves and shaped the lives and fashions of generations. 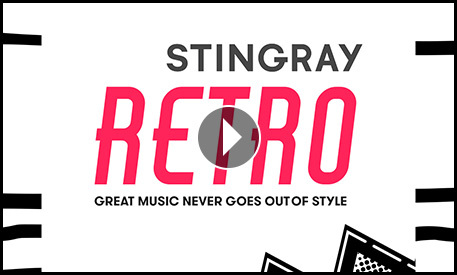 Stingray Retro is home to the most popular, enduring and influential stars of the greatest decades in music history. Whether you remember the days of walkmans and discmans, or are experiencing them for the first time, tune in to Stingray Retro for the biggest icons, shiniest pop tunes, and most danceable hits. Looking for a specialty music television channel that is appropriate for an audience ages 8 to 14? Welcome to Stingray Juicebox, the most awesome music video hangout on TV for kids, tweens and teens. Created just for them, Stingray Juicebox is kids tested and parents approved. 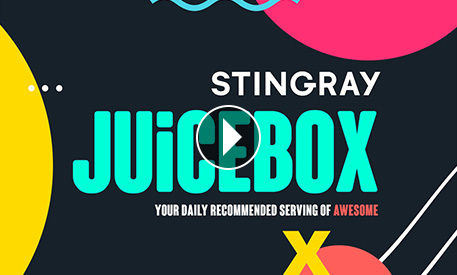 From the super cute to the super stylish and the super popular, Stingray Juicebox has all the bands and singers that younger audiences definitely can’t live without. 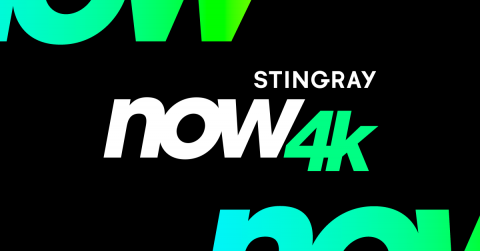 Stingray Now 4K is a boldly curated 4K TV channel that brings home the next music video revolution! Tune in to a non-stop, curated programming of breathtaking 4K videos by today’s biggest and most popular stars, indie darlings, and up-and-coming artists from around the world. Stingray Now 4K offers the perfect background for entertaining, getting things done around the house, relaxing, or simply enjoying your state-of-the-art big screen TV! To subscribe and watch great music videos all day, every day, contact your provider. If the channel is not available, contact them today and ask that they carry the best music video channels on TV!